A young girl named Mi-Ja (Ahn Seo-Hyun) lives in the mountain. Her best friend is Okja, who is a massive animal with a shy and introspective character. One day, Okja disappears. Mi-Ja struggles to find Okja. "Okja" will have its world premiere in the "In Competition" section at the 70th Cannes Film Festival. Joyous Jul 15 2017 2:10 am Wow!! This is a must watch film! Mr. Joon Ho Bong was such a great director. A two thumbs up for all the casts, staff and crew!! But I need an ALF success story please. DramaLover Jul 02 2017 1:01 am The premise sounds similar to King Kong, but with a twist of Jungle Book in there. Looks very promising from the trailer teaser so far. Celine Jun 29 2017 8:40 pm Wow Bong Joong Ho! It should be a must watch movie then! dietmntndew Jun 08 2017 12:27 pm The cast!!! The story!! Cant wait for this!!! I love how netflix is also creating entertainment for halyu fans. 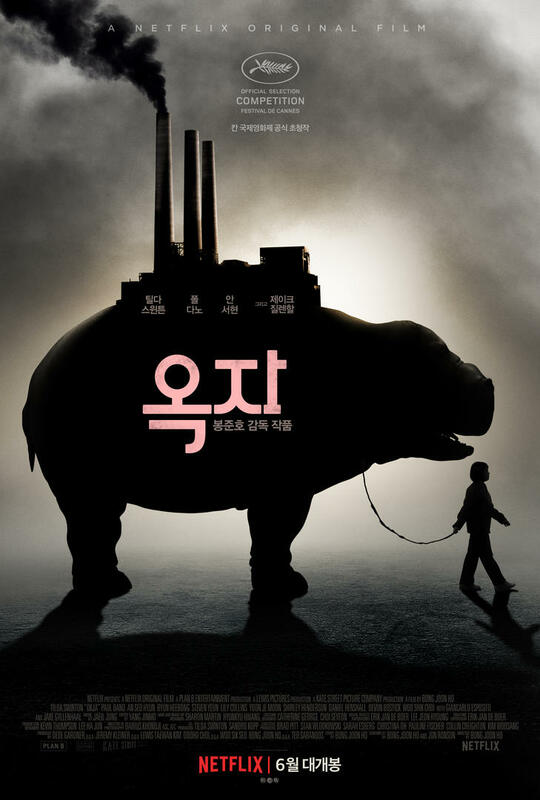 Justyn MacFarland aka Hee-Jung Kim Jun 07 2017 8:10 pm I heard about the premier of this movie on Netflix this month today on NPR interview and my interest was peaked when hearing the Korean girl's name, "Okja." The premise is extremely intriguing and one-of-a-kind genre for Korean movie and the corroborative efforts with Hollywood cast also seem unique. I can't wait to see it! Eskimo May 18 2017 7:53 am If we have netflix as the distributor, do we still get to catch it on big screen?